Buckskin is a very versatile medium for not only clothing but other accouterments, and accessories as well. 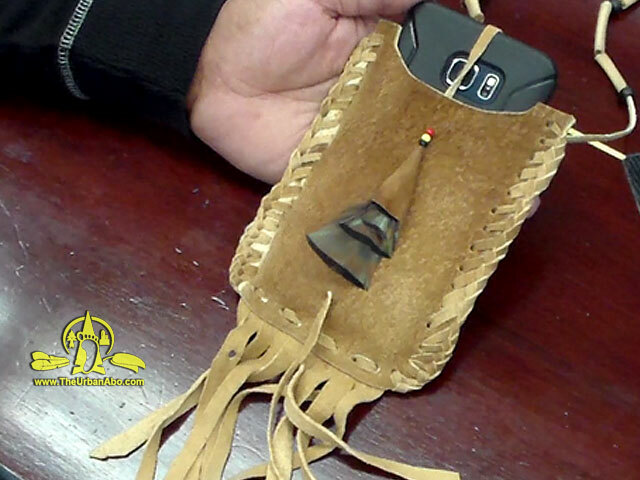 This is a tutorial on making a buckskin phone case for the Samsung Galaxy Note 5 Smart Phone. Buckskin is a very versatile medium for not only clothing but other accouterments, and accessories as well. Here I am using double-loop lacing with flat strip of buckskin. Details on how to do this type of leather working can be found in the accompanying video below. A far better explanation than I can give for now. Also please note the link to the FREE pattern download for your phone, if you own the same type smart phone.